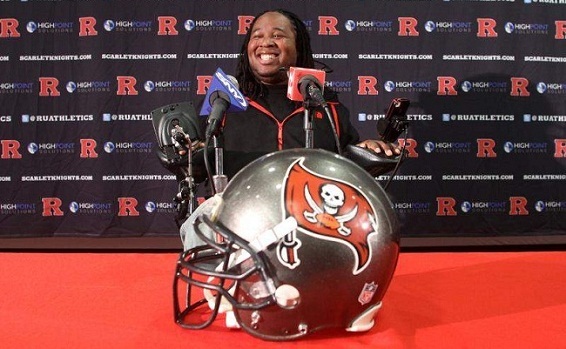 Much like being drafted three short months ago, Eric LeGrand's retirement on Thursday was purely symbolic. No one ever expected him to play a single down in the NFL. Not the Tampa Bay Bucs, who selected him with their final pick in the draft. Not the fans, who saw him wreak havoc as a Rutgers Scarlet Knight (33 tackles, 2 sacks as a sophomore). And unlike most new draftees, not even himself. As many of you know, LeGrand was paralyzed from the neck down during a horrifying incident back in October 2010. It was one of those hits where everyone watching the game knew almost immediately that there was a problem, and it wasn't going to end well. But in his brief professional career, what an impact he made. His speech at the ESPY's a few weeks ago, where he received the Jimmy V Award, was incredibly moving and inspirational, chronicling his struggles from the day his life changed forever. He detailed the thoughts and personal emotions that ran through him from the moment he broke his neck on that fateful kickoff, through his struggles with rehabilitation, to his progressive mending, incredible will, and determination to heal. It also touched on the joy and happiness that everyone felt when the Bucs called his name back in March, and his promise at the ESPY's to one day walk again, parroting Jimmy Valvano's famous line, "Don't give up. Don't ever give up." LeGrand was never paid a dime by Tampa Bay, but it certainly wasn't about the money. He didn't lament being disrespected by the offer placed on the table, as many new draftees do. He loved his team, the only one for whom he will ever play. He proclaimed on Thursday that he will be "A Buc for Life." He is possibly the only rookie to never play a down in the NFL who has more than 100,000+ Twitter followers (and growing daily). From that life-altering day, he has been determined to turn a tragedy into a feel-good story. Hard to NOT pull for the Bucs this season. Real classy move by them to draft this kid. Some people call it a wasted pick, but I think it did more for the Bucs PR-wise than anything else they did in the off-season. 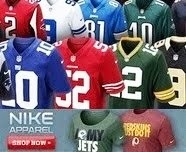 They picked up a whole new fan base, especially in the New Jersey area. Really pulling for this kid. Hopefully he'll walk again someday. He's always so upbeat and positive. I don't know how he does it. Truly inspirational. His attitude at the ESPY's absolutely blew me away. And thanks for reading and commenting, by the way. Great post Keith! Looking forward to reading on a regular basis!